Experiencing virtual reality will blow your mind, but it’ll also demolish your wallet. Or at least that’s what people think, and that perception was exacerbated when Oculus’s CEO said that building a Rift setup from scratch will set you back a cool $1,500. Since theOculus Rift itself costs $600, that implies you’ll need a $900 PC to run it. I often hear people say you’ll need to spend about $1,000 on a PC for VR. Nothing could be further from the truth—and it’s all thanks to AMD. Team Red trumpeted the arrival of “VR for the masses” with the launch of its Radeon RX 480, a graphics card that revolutionized what’s possible for $200. But the real key to virtual reality on a budget quietly lies in AMD’s affordable processors. FX chips aren’t even mentioned in Oculus Rift’s PC requirements, but many of them indeed power VR experiences, and for far less cost than the Intel Core i5-4590 ($195 on Amazon) Oculus recommends. To drive the point home, AMD designed a VR-ready DIY PC whose hardware costs a mere $650(ish), with the FX-6350 andRadeon RX 480 as its cornerstones. And then they offered to send it to us for review to verify that it’s indeed capable of engulfing you in digital worlds without barf-inducing frame rate compromises. Of course we said yes. Let’s dig in. Add it all up and you’ve got a grand total of $659 as of September 6. 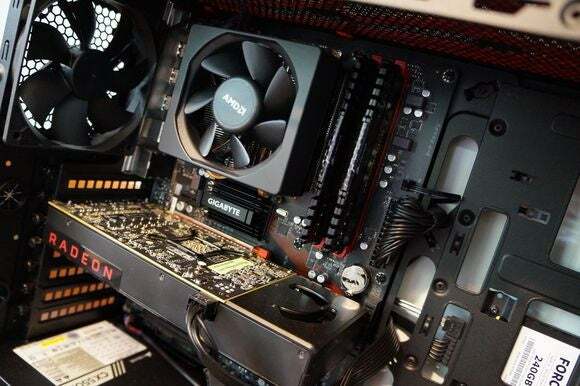 Pricing for PC parts fluctuates regularly—we’ve seen the cost of this rig vary from $649 to $680 while we’ve had it for testing—but AMD’s definitely fair to call this build a $650 PC. That glosses over a few very real points, however. First of all, Radeon RX 480s simply don’t exist at AMD’s ballyhooed $200 price point. 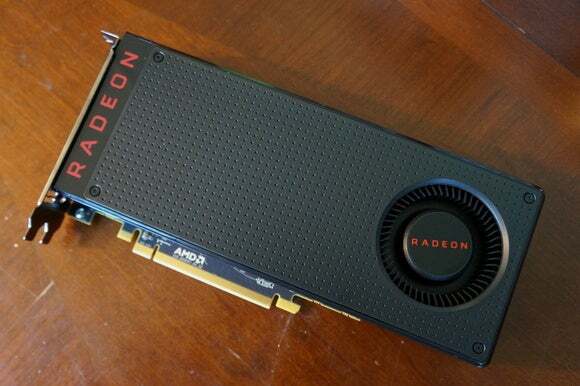 Reference models of the 4GB RX 480 disappeared immediately after launch, and all 4GB RX Radeons have been in short supply since. The most affordable version online is the Sapphire Nitro+ RX 480 at $230 on Newegg, and it pretty much hasn’t been in stock since we reviewed it. XFX’s $240 Radeon RX 480 with a custom backplate is the cheapest card you can actually buy on Newegg right now. Your best bet is to useNowInStock.net to track which models are available at any given time. In reality, you’re more likely to spend closer to $250 on a 4GB Radeon RX 480. You’ll also need Windows, since neither the Oculus Rift nor the HTC Vive support Linux yet. Sure, Microsoft lets you install and use Windows 10 without a product key, but you’ll still need to buy a license and activate it to be legal. That’ll cost you another $110, bringing the grand total for this PC closer to $800 in real life, assuming you already have a keyboard, mouse, and monitor on-hand—still a relative steal for a VR-ready machine. And we’ll get into ways to shave more pennies off the total after looking at how this rig actually runs. Before we dive into performance results, here’s a nifty AMD-made video of FX PR manager Jason De Vos building a digital version of this very rig in VR. I wish cable management was this effortless in real life—though the AMD employee who built this PC did his damnedest to make it seem so. That’s pretty good for a low-cost PC! But I’m getting distracted. I tested the chops of AMD’s DIY VR PC using the $800 HTC Vive and an array of virtual reality games. 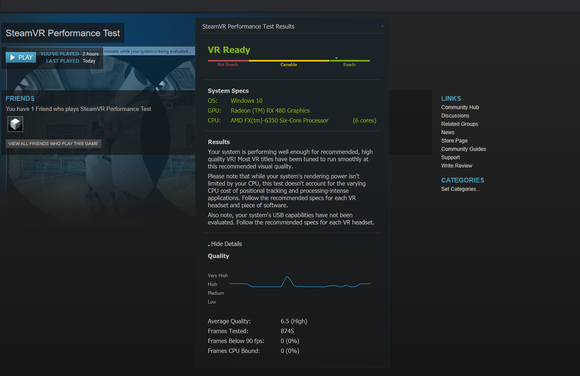 Before I slipped the headset on, however, I ran Valve’s SteamVR performance test on the system. Neither Oculus nor HTC officially support the FX-6350 and I feared I’d be transported into a juddering digital world of dropped frames that would instantly spur Exorcist-style vomiting. I had nothing to worry about. AMD’s machine falls firmly into the VR-ready range despite its humble cost. Satisfied, I slipped the Vive over my head. And instantly found myself immersed in new realities. I marveled as the Millennium Falcon swooped mere feet above my head in Star Wars: Trial on Tatooine. I gasped as a gigantic, majestic whale almost swiped me with its tail intheBlu. I braved yawning chasms in Everest VR. Audioshield’s frenetic action left me literally feeling the music—and physically wrecked. Petting and playing fetch with The Lab’s cute robo-dog proved curiously satisfying, while Elite: Dangerous’ impressive universe became downright awe-inspiring armed with the Vive and HOTAS flight stick. 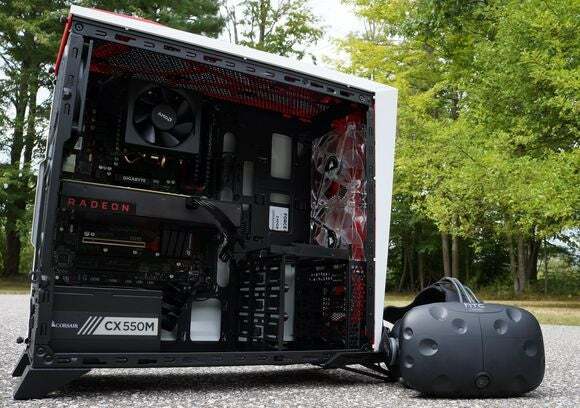 Through it all, AMD’s DIY rig delivered a rock-solid virtual reality experience free of jarring frames drops and stuttering, no matter how quickly I whirled my head around or how hot and heavy the onscreen action became. I experienced some very slight hitching the first time I played fetch with The Lab’s dog, but was never able to reproduce it. Experiencing VR with AMD’s $650 PC feels great, full stop. Most of the first wave of VR games lean more heavily on GPUs than CPUs, though, and the Radeon RX 480 is a relative beast. 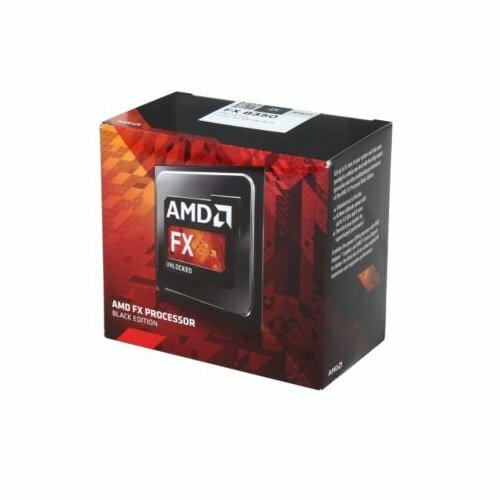 If there’s a weak spot in this build, it’s that affordable but years-old FX-6350 chip. So I leaned on it. To do so I created some truly fantastic contraptions in Fantastic Contraption. The game’s indeed fantastic—wondrous, even—but more importantly for our purposes, it’s a game rife with physics-based interactions that need to be handled by the processor. To test the FX-6350’s limits, I spawned a slew of wheels and sticks and balloons and more, cobbled them together like some sort of cartoonish Frankenstein, and set the monstrosity in motion while I whipped my head around. It didn’t deliver the game’s floating jelly ball to its pink goal. But it ran flawlessly. Like I said: Experiencing virtual reality with AMD’s $650 PC feels great. So AMD’s $650 VR-ready PC does what it sets out to do, and thanks to the color coordination between the Corsair Spec-Alpha case, the Gigabyte motherboard, and Radeon’s own red branding, it manages to look damned finewhile doing so. I wouldn’t change much about it, frankly. But if sticking to that $650 price matters more to you than aesthetics, you can reclaim some of the budget eaten up by the unexpectedly high street pricing for the Radeon RX 480. I personally enjoy the angular “gamer aesthetic” of the $80 Spec-Alpha case, but using something like Corsair’s own Carbide Spec-01 ($48 on Amazon) would save you $30. That alone could compensate for the extra RX 480 cost, depending on which model of the graphics card you manage to snag. If you have a spare hard drive already hanging around, opt for a 120GB SSD like the OCZ Trion 150 ($45 on Amazon) as a boot drive rather than the $65, 240GB Corsair model AMD recommends. You can save $10 on the memory by choosing Kingston’s 2x4GB HyperX Fury kit ($36 on Amazon) instead. The Gigabyte GA-970-Gaming motherboard’s color scheme looks great inside the Spec-Alpha, but you can find a ton of decent AM3+ motherboards for around $50. If you shop around, just make sure your replacement meets the requirements of the VR headset you plan on using—namely, the Oculus Rift requires a pair of available USB 3.0 ports. If you find a $200 Radeon RX 480 and follow the tweaks above you could conceivably drive the final cost of the PC down to $550 or so before a Windows license. That’s almosthalf the cost of the $1,000 many people cite for a VR-ready PC. Hot damn. Two areas I wouldn’t suggest changing out are the heart of AMD’s $650 VR PC build: The processor and graphics card. Not only are they central to the smooth VR experience of this rig, but messing with either would undermine its core principles. Graphics card-wise, the cheaper but less capableRadeon RX 470 and 3GB GeForce GTX 1060 aren’t satisfying virtual reality options, full stop. You can always splurge for a more potent card than the Radeon RX 480, but that flies in the face of crafting a budget build. On the processor side, the $118 FX-6350’s an aging favorite of price-conscious PC gamers, but you’d need to spend a lot more to upgrade to a more powerful Intel system. Intel CPUs that cut the mustard for VR start at $180 on Amazon, and Intel Core-compatible motherboards cost much more than their AMD AM3+ rivals, too. Simply put, Intel would shatter the budget of this budget build. Then again, if you’re planning on buying a $600 to $800 VR headset, spending a bit more for additional future-proofing may be worthwhile to you. That’s up to you and your wallet. But forget about cobbling together a whole PC. The most exciting part of this whole endeavor was discovering that yes, despite being a bit long in the tooth and nowhere near as powerful as Intel’s Core i5 processors in a vacuum, the people’s champion FX-6350 is utterly capable of handling virtual reality workloads. That may change in the future if CPU-intensive AAA games descend on the Vive and Rift in droves—though DirectX 12’s expanded multi-core capabilities could help on that front, as the FX-6350 packs six cores. 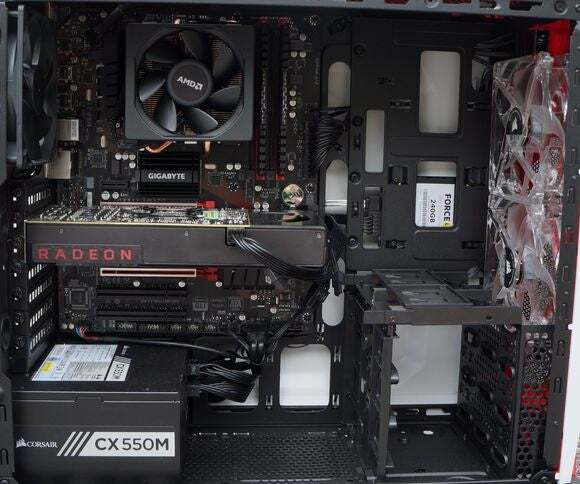 AMD powers about a quarter of all PCs connected to Steam, and chips like the FX-6350 and FX-8350 ($146 on Amazon) are beloved by PC gamers on a budget. 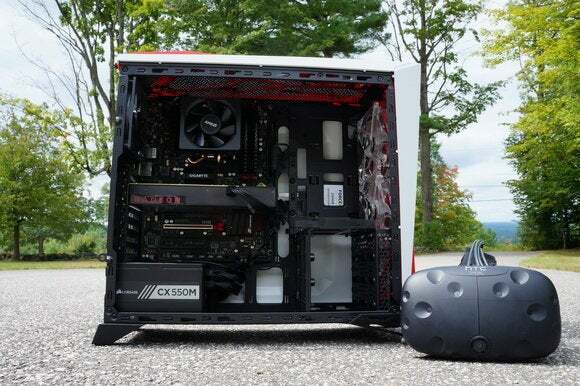 This system proves not only that VR-ready PCs can be built for significantly less than most people think, but that a horde of FX-packing PC gamers are just a $200 Radeon RX 480 graphics card upgrade away from being able to experience virtual reality. That’s eye-opening.